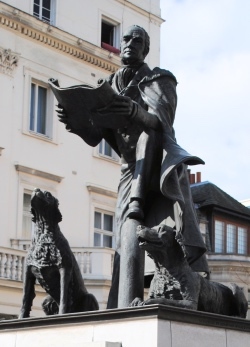 Now famed for its shopping and proximity to museums, the former village of Knightsbridge takes its name from a bridge which once spanned the Westbourne River (a river now located underground which flows from Hampstead down through Sloane Square to enter the Thames at Chelsea) and linked the village of Kensington with London. While the origins of the bridge’s name remain shrouded in mystery (the bridge itself reportedly stood at what is today Albert Gate), the anecdotal stories which might explain it include a tale that two knights once fought here and another which attributes the name to the fact that the area was thought so unsafe that to come without a knight was considered foolhardy. Indeed the name Knightsbridge was once synonymous with highwayman and robbers waiting to plunder passersby. While the name is apparently not mentioned in the Doomsday Book, by the 13th century it is listed as a manor belonging to the monks at Westminster Abbey (this was apparently a gift from King Edward I – in fact some accounts have the area also recorded as King’s Bridge, Kyngesbrigg). One of the key events which the area apparently hosted was the meeting of Empress Matilda with representatives of London’s citizens in 1141 during her ongoing fight for supremacy with King Stephen. The area remained relatively rural – and as a village in its own right – until the late 18th century when the area finally became joined to the ever-expanding metropolis. 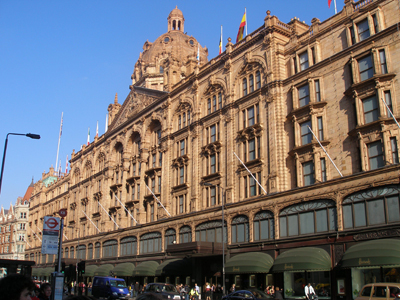 These days Knightsbridge is little more than a road and a strip of highly developed land to the south (Westminster City Council’s Knightsbridge conservation area, which contains more than 275 listed buildings, runs as far east as Queen’s Gate) but it does boast some very high end shopping – think Harrods (pictured), founded in 1824 and opened on the current site almost 30 years later, and Harvey Nichols, founded in 1813. 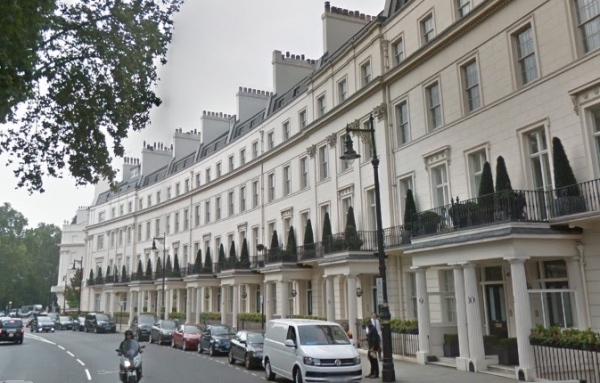 There’s also some very grand late Victorian residential real estate (much of which is owned by the the Duke of Westminster and Earl Cadogan), which, along with new developments, have made Knightsbridge one of the highest price property markets in London (and indeed, the world). The eastern end of Knightsbridge – Westminster Council include Royal Albert Hall in its Knightsbridge Conservation Zone – runs into the museum district of South Kensington, home to some of London’s best museums, including the Victoria & Albert Museum and the National History Museum.